Litigator and trial lawyer John W. McGuinness litigates commercial disputes throughout the country and has significant experience in complex business conflicts. Working from both D.C. and L.A., he regularly represents publicly traded companies and emerging businesses in industries that include financial services, retail, media and technology. Representing clients in consumer class and individual actions (including consumer protection, mortgage/financial services and data security/privacy), John has deep experience at all stages of complex commercial disputes. He handles arbitrations, mediations, court and jury trials and appeals; appearances before the California appellate courts; and appearances before the U.S. District Courts of Appeals in the First, Fifth and Ninth Circuits. For clients in the mortgage, financial services, banking, technology and retail industries, John handles litigations, regulatory proceedings and examinations related to both state and federal consumer protection statutes. These statutes include the Song-Beverly Credit Card Act, Telephone Consumer Protection Act of 1991 (TCPA), Fair Credit Reporting Act (FCRA), Fair Debt Collection Practices Act (FDCPA) and Truth in Lending Act. 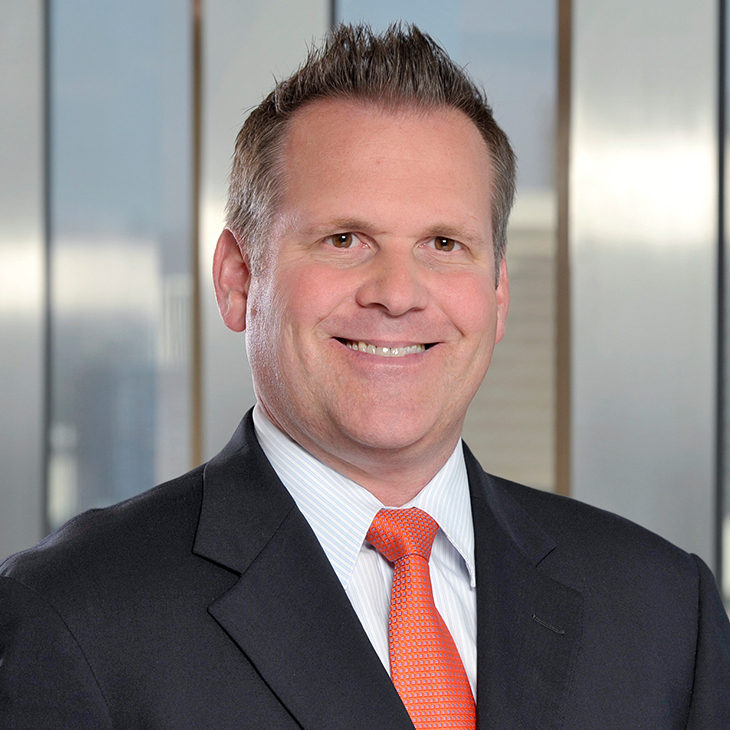 John also counsels clients on consumer financial services, privacy, consumer protection and insurance recovery. He is a frequent writer and speaker on class action litigation and consumer financial services, and also has been interviewed by and quoted in various publications and news sources, including Forbes, NBC News and Bloomberg News. Counsel for several national retailers in a putative nationwide class action alleging deceptive trade practices and violations of statutory and common law. Utilizing a New York procedural rule that permits defendants on a motion to dismiss to attach documentary evidence that contradicts allegations in the complaint, John obtained complete dismissal on behalf of all defendants. Representing a bank defendant in suits by a successor to the purchaser of mortgage loans, seeking repurchase and indemnification arising out of the sale of billions of dollars in mortgage loans into residential mortgage-backed securities. Representing a website company in a putative class action with respect to alleged violations of consumer privacy under the TCPA. Representing a company in a putative class action involving alleged violations of California Business & Professions Code § 17200 for purportedly assessing charges against the plaintiffs’ security deposits for normal wear and tear upon expiration of the tenancy. Successfully defended a website company in a putative class action with respect to alleged violations of the Racketeer Influenced and Corrupt Organizations Act (RICO), conspiracy and consumer fraud statutes. Resulted in a highly favorable settlement for the client. Representing a debt collector client in several putative class actions around the country involving alleged violations of the Fair Debt Collection Practices Act (FDCPA). Representing a mortgage originator in a putative class action alleging violations of FCRA and California state law. Representing several national retailers in putative class actions alleging violations of consumer privacy under California and Massachusetts laws. Co-leading trial counsel in a four-week trial in a major power reliability lawsuit on behalf of one of the world’s largest petroleum companies against the largest investor-owned electric utility. Representing a manufacturer of weight loss supplements and several national retailers in a number of class action lawsuits filed around the United States alleging that the supplements were sold despite knowledge that the products were ineffective in reducing weight and could result in injury. Representing the largest Indian tribe in the United States in a suit involving claims of the mismanagement of tribal trust funds under the custody and control of the United States. Leading trial counsel for a mortgage servicer in prosecution of civil RICO claims against more than a dozen defendants arising out of an alleged scheme to defraud plaintiffs and the holders of certain mortgage-backed securities. Settlement resulted in the complete recovery of millions of dollars in ill-gotten gains. Co-leading trial counsel for the world’s largest manufacturer of PVC pipe in a multiweek trial involving alleged breaches of a commercial lease. Leading trial counsel in a lawsuit filed pro bono with the Lawyers’ Committee for Civil Rights that successfully secured that an agreement from Arizona election officials ensuring the voting rights for individuals in Maricopa County would be upheld. The lawsuit challenged the decision to reduce the number of polling places for the March 2016 presidential preference election in Maricopa County from 403 in 2008 to 211 in 2012, and to just 60 in 2016. In what is understood to be the first ruling of its kind, the court concluded that the county’s miscalculations violated Arizonans’ state constitutional right to free and equal elections. Leading trial counsel for a client against insurance companies seeking declaratory relief and alleging breach of contract, insurance bad faith, and violation of certain insurance regulations and the state Consumer Protection Act arising out of, among other things, the carriers’ duty to defend covered lawsuits under the insurance policies. Representing clients in connection with civil investigative demands and enforcement activities of the Consumer Financial Protection Bureau. Co-leading trial counsel for an international manufacturer and its subsidiary in a multiweek trial against a California state regulatory agency involving claims alleging violations of administrative law and the California state constitution and counterclaims by the regulator for over $200 million in statutory penalties. Resulted in a highly favorable settlement providing the client with equitable relief from the regulator and awarding the regulator less than 1% of its statutory penalties. Member of a trial team in a billion-dollar lawsuit commenced on behalf of a major banking and financial institution client relating to surety bonds on commodities transactions. After a month-long trial, a favorable settlement for the client was reached during jury deliberations. Leading litigation and appellate counsel in a precedent-setting case arising from interaction between legacy telecommunications access charges and new, IP-enabled technologies. Counsel for an in-store advertising company in an action against a competitor for violations of federal and state antitrust and unfair competition laws. Abdelfattah v. Carrington Mortgage Services, LLC. Pending putative class action litigation brought under the FCRA and the California state analogue. Convergent Outsourcing, Inc., et al. v. Evanston Insurance Co., et al. Seeking declaratory relief and alleging breach of contract, insurance bad faith, and violation of certain insurance regulations and the state Consumer Protection Act arising out of, among other things, the carriers’ duty to defend covered lawsuits under the insurance policies. David Shabaz v. Polo Ralph Lauren Corporation. Putative class action alleging violations of consumer privacy under state statutory and common law, which resulted in favorable rulings on issues of first impression, culminating in federal court approval of one of the first settlements under the Class Action Fairness Act involving a noncash benefit to class members. Held, et al. v. Macy's, Inc., et al. Putative nationwide class action brought on behalf of all members of the retailer's rewards program for credit card holders alleging deceptive trade practices and violations of statutory and common law. Through the use of documentary evidence in connection with a motion to dismiss, obtained dismissal of the action in its entirety. Hoffman v. Monster Worldwide, Inc. Defended the company in a putative class action with respect to alleged violations of RICO, conspiracy and consumer fraud statutes. Insignia Systems, Inc. v. News America Marketing In-Store, Inc. Counsel for plaintiff, an in-store advertising company, in action against a competitor for violations of federal and state antitrust and unfair competition laws. Juliana Huerena, et al. v. Michele Reagan, et al. Lawsuit filed pro bono with the Lawyers’ Committee for Civil Rights that successfully secured an agreement from Arizona election officials ensuring that the voting rights for individuals in Maricopa County would be upheld. In what is understood to be the first ruling of its kind, the presiding judge concluded that the county’s actions violated Arizonans’ state constitutional right to free and equal elections. Korn v. Polo Ralph Lauren Corporation. Putative class action alleging violations of consumer privacy under state statutory and common law, culminating in a successful settlement. Maureena Garcia v. New York & Company Inc. Litigation of putative class action alleging violations of consumer privacy under state statutory and common law. Macias, et al. v. DTLA Management, LLC, et al. Litigation of putative class action alleging violations of California law for purportedly assessing charges against the plaintiffs’ security deposits for normal wear and tear upon expiration of the tenancy. Navajo Nation v. United States. Suit involves claims of the mismanagement of tribal trust funds under the custody and control of the United States by, among other things, failing to supervise, control, manage and invest tribal trust funds and resources in a manner that would maximize financial return and by failing to maintain a complete and accurate accounting of all the trust assets under the custody and control of the United States. Noyola v. Iovate Health Sciences U.S.A. Inc. et al. ; Hawkins v. Iovate Health Sciences, Inc., et al. ; Robertson et al. v. Iovate Health Sciences, Inc. et al. Putative class actions filed against a manufacturer of weight loss supplements and several national retailers around the United States alleging that the supplements were sold despite knowledge that the products were ineffective in reducing weight and could result in injury. People of the State of California v. Yamaha USA, et al. Enforcement action alleging that defendants failed to obtain certification of 2007 model year vehicles, in violation of certain state environmental statutes. Yamaha USA v. California Air Resources Board. Litigation raising multiple issues of first impression and seeking declaratory and other relief arising from the state environmental agency's alleged violation of federal and state constitutional protections, as well as state law, in connection with a certification application filed with that agency. Moderator, Litigation Panel, California Mortgage Bankers Association Legal Issues and Regulatory Compliance Conference, December 3, 2018. Speaker, Bridgeport's Class Action Litigation and Defense 2017 Conference, September 8, 2017. Member, Steering Committee for DRI 2017 Class Action Seminar, Washington, D.C., July 20-21, 2017. Speaker, “Round Table on Effective/Not Litigating Tactics and Techniques from the Perspective of the Opposing Side,” Bridgeport's Consumer Class Action Litigation & Management Conference, January 13, 2017. Speaker, Bridgeport's "Litigating and Defending FCRA Claims" webinar, September 23, 2015. Speaker, Bridgeport's Consumer Class Action Litigation & Management Conference, January 9, 2015. Speaker, Bridgeport's 15th Annual Class Action Litigation Conference, September 17, 2014. Speaker, Bridgeport's Consumer Class Action Litigation Conference, April 10-11, 2014. Speaker, "The California Homeowners Bill of Rights: What Does It Mean for Your Business?" webinar, January 31, 2013. Speaker, 2012 CFPB and Top Regulatory and Enforcement Issues Conference, April 24, 2012. Speaker, West Coast Mortgage Lending and Servicing Today Conference, April 11, 2011. Panelist, "Defending Against the Latest Investor Lawsuits and Claims," ACI's 5th National Advanced Forum on Residential Mortgage Litigation and Regulatory Enforcement, October 19, 2010. Co-author, “Song-Beverly Credit Card Act: Litigation Developments and Guidance for Retailers Collecting Customer Information,” Bloomberg Law, March 18, 2019. Co-author, "Service Providers and Third-Party Risk," Practising Law Institute's Consumer Financial Services Answer Book 2017, June 2017. "Credit Card Fees are Constitutional. But Will They Stay That Way?" Payments Source, March 14, 2014. "Swipe Fee Settlement Yields More Litigation," Antitrust Connect, February 14, 2014. "Just the FACT(A)s: The Latest in FCRA Jurisprudence," Journal of Taxation and Regulation of Financial Institutions, April 23, 2012. "Shine-the-Light Law: California's Latest Class-Action Trend," ABA Consumer Rights Litigation, April 17, 2012. "Consumer Financial Services Law in Review: 2011's Significant Cases and Emerging Trends," Consumer Financial Services Law Report, February 13, 2012. "Case Study: Anderson v. Hannaford Brothers," Law360, November 7, 2011. "The State Supreme Court Shakes It Up for Retail Businesses," Los Angeles Daily Journal, February 16, 2011. "Investor-Driven Litigation against the Credit Rating Agencies," The Review of Securities & Commodities Regulation, January 2011. "Using E&O Insurance in Foreclosure Litigation," Law360, December 22, 2010. "Insurance Coverage in Consumer Class Actions," The Corporate Counselor, October 6, 2010. "California's Song-Beverly Credit Card Act: the past, present and future," BNA Privacy and Security Law Report, July 26, 2010. "From Climate Change Suits to Data Breach Claims," Connecticut Law Tribune, November 23, 2009. "Settling Class Actions: Alternatives to Coupon Settlements after CAFA," Class Action Litigation Reporter, February 19, 2009.
Credit Card Fees are Constitutional. But Will They Stay That Way?